Ah, Facebook. Home of all opinions whether they are right or not. Honestly I get a lot of inspiration from reading Facebook posts. I’m inspired to write the truth as opposed to what I read on social media. Hopefully this little blog can do its part to make sure people actually know the truth about cellular signal boosters. You’ve read my other articles about cell boosters so you know they take a signal from outside, amplify it and rebroadcast it inside to give you great coverage in your home or office. You also know that pretty much everyone needs a cell booster, although only about 3% of people have them. So, let’s talk about the top five reasons people won’t buy a cell booster. Feel free to share this article with any of your friends who think a cell booster isn’t worth the money. 5. Cell boosters don’t work. People think cell boosters are nothing but hokum, that they’re a waste of time because they don’t do anything. That’s definitely not true. Here’s the actual truth: A cell booster won’t work if there’s no cell signal to boost. A cell booster won’t give you a cell signal when you have absolutely zero bars. However with even one bar as measured on your phone from outside, you can usually get 3 or 4 bars inside with the right cell booster. Sometimes people get confused because they think about those gold stickers you can get at the dollar store that promise to improve reception. Those definitely don’t work. 4. Cell boosters are expensive. This isn’t really true either. 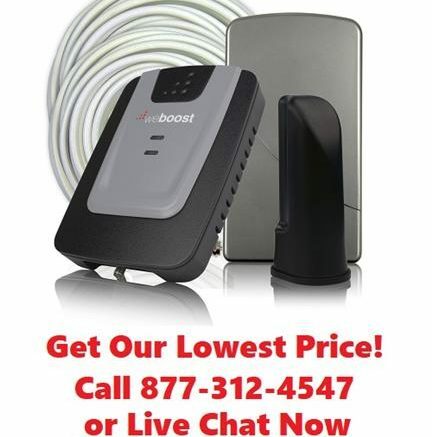 Yes, you will pay about $300 for a reliable brand of cell booster, all the way up to $3,000 – $5,000 for a top end commercial system. But is that expensive? A cell booster can give great service to everyone in your home or office (if you choose the right one.) It can last a decade or more. During that time, you’ll have bought and broken probably four $1,000 phones and so will everyone else in your home. So which is really more expensive? One phone, or something that makes every phone work better? YOu be the judge. 3. You need a license to use (or install, or buy) a cell booster. You do not need a license. By law you have to notify one cell carrier that you have a booster. It doesn’t even have to be your cell carrier. You don’t need to apply ahead of time, just fill out one of the forms you’ll find in this article. It’s easy and they can’t say no as long as you’re buying a booster that’s FCC approved, and all the ones sold by Solid Signal are FCC approved. 2. Cell boosters are hard to install. That’s just not true. Yes, if you want to get the best possible result you’re going to want to put that outside antenna up high. But there are plenty of options and plenty of choices. Some don’t even require you to go outside. It’s all up to you and how much cell boosting you actually want. Even in a worst case scenario, installing a cell booster is no harder than installing a TV antenna. A lot of people install TV antennas and don’t complain about that. 1. Cell boosters are hard to use. I think people are really just scared of cell boosters. They think of them as some sort of mix between a ham radio and Dr. Frankenstein’s laboratory. I can see this because for many years cell boosters looked like scary pieces of gear you’d find at NASA, complete with knobs and dials. Cell boosters aren’t like that anymore. A cellular signal booster doesn’t take any daily maintenance and once you install it, chances are you won’t ever have to touch it again. The installation process isn’t so hard either, as I said. Anyone who tells you a cell booster isn’t worth the effort just hasn’t seen today’s boosters. They take about as much effort as breathing. …check out the great selection of cellular signal boosters at Solid Signal now. If you’re not sure which one to buy, fill out the form below and we’ll help you get the booster you need. Or call us at 877.312.4547 and our techs will help you make the right choices!